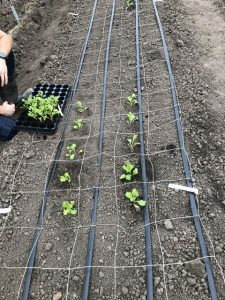 This week we planted a wide range of the Scoop series of Scabious. 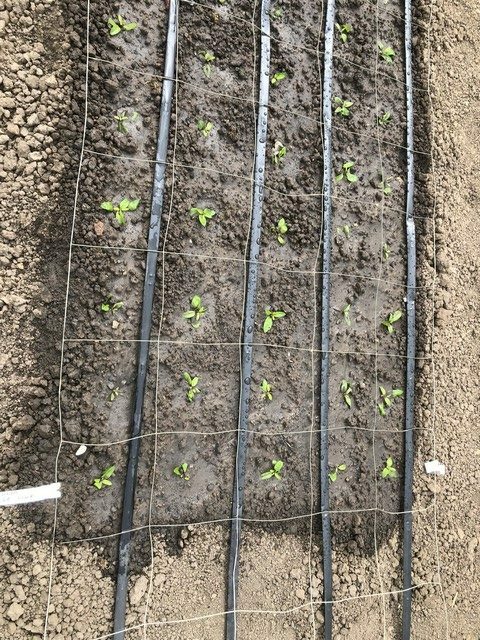 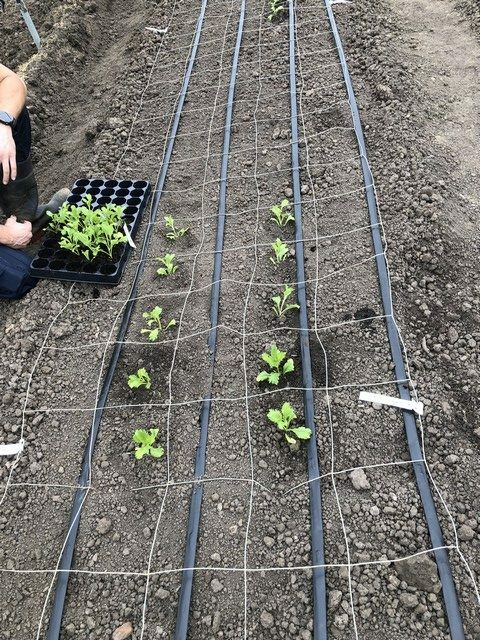 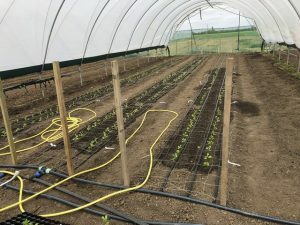 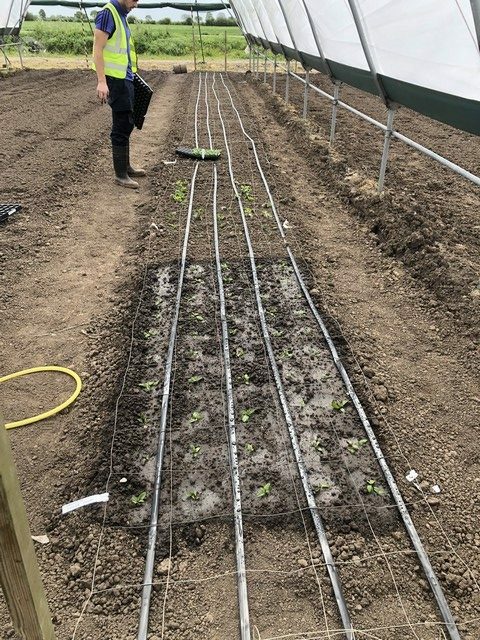 These arrived as rooted cuttings in week 16 but as the tunnel was not steamed by then they were potted on into 50 module trays to allow them to grow on and not be checked before planting. 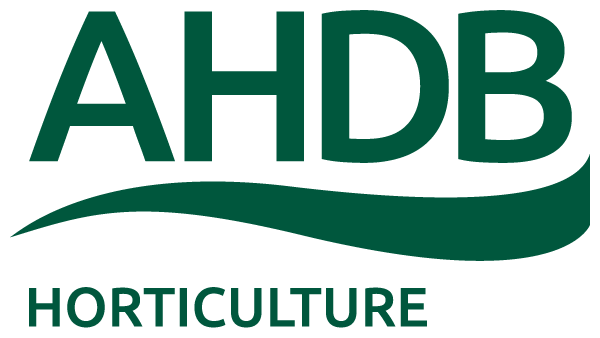 This is the third (and probably final year) of the Scabious trials and the aim is to both assess the market potential of the new varieties but also to determine which grow best in our conditions in an attempt to eliminate varieties that show the so far unidentified leaf chlorosis issues that we have seen on some varieties in previous years. We also planted the first batch of 3 colours of the Skyler Veronica with the aim of looking at extending the narrow flowering window that we saw in 2017. 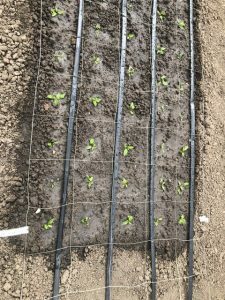 This will hopefully be achieved by pinching half the bed early and half late and a second planting in about a months time. 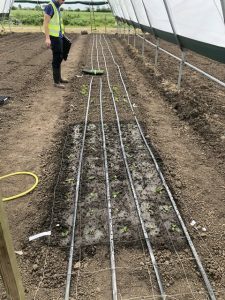 We will also be planting Lysimachia in a couple as weeks time because at last years Open Day (which this year will be the 8th of August) we received an industry request to compare the performance of Lysimachia and Veronica.